Today's referee for #ITAvsURU is Marco Rodriguez, a.k.a. "Chiquidracula". We're off in Belo Horizonte! Kneel before Zod and you might get your notes. Hey tom and BR I make my return but am I dreaming italy starting immobile alongside balotelli? True story: When the USA 1-0 England scoreline was cabled to the newsdesks in England, one sports editor thought a mistake had been made and printed, USA 1-10 England, because that genuinely seemed a more likely result. 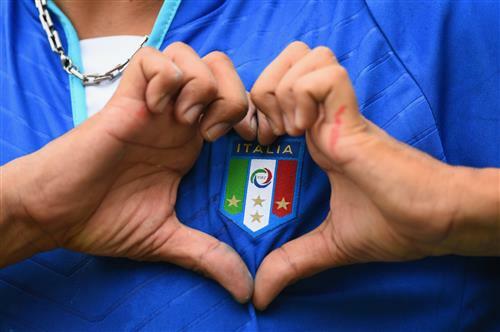 bedude, it's no dream - its reality for the Azzurri. Campbell cuts in, slams a shot off Gary Cahill's bottom, it loops up and slips just wide of the far post. Mario Balotelli is limping after going down under a challenge from Cristian Rodríguez, and looks hurt. Talk about an ambitious effort. We need a nickname for this England squad since they're so young. The Three Cubs? Is costa rica resting the yellow carded players ? No one in the Boot Room hopeful of an England win, wow! For those who suggested that England's major error was to go with a two man midfield, there's a three man midfield today. Gate shut. Horse gone. Andrea Pirlo wins a soft free kick in his own half - a crafty one, that Juventus midfielder. Could call England The Litter. How about The Three Losses? A stat for you now - no CONCACAF nation has even won three World Cup group games in a row. Let's try and beat 14 goals from yesterday!!! Confused on the poll: Suarez v Balotelli: Is it better footballer? Who we like more? Better hair? Better teeth (alignment or use??) Need some clarification. Costa Rica ping the ball amongst themselves, stretch the defence, release Junior Diaz and his cross floats hopelessly behind the goal. It was looking so good...and then it wasn't. Gooner, it's a vote on everything - deliberately vague! Lets hope for a 14 - 0 Costa Rica win! hey tom if costa rica score early will england be able to bounce back? If italy and uruguay tie who goes through?